Saturation of snow from rain & warmth will be loosening & lubricating the snowpack. To what degree will this influence avalanches is yet to be seen, but anticipate this problem at lower elevations around 8500' & especially on aspects NE-E-SE. These aspects hold the deepest snowpack & isolated areas that haven't been effected by reoccuring avalanches could be ripe for release. Incorporate the potential Deep slab issue here as slabs have been observed stepping down into older weak snow layers. 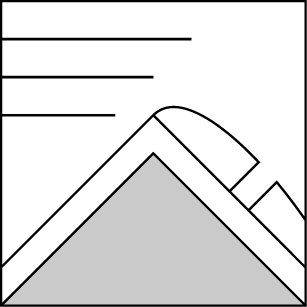 Look for stress-cracking on convexities & cornices, sometimes you can hear the creep or glide of the snowpack during movement. Winds as usual will be transporting snow to features within the landscape allowing for really deep pockets & cornices. Wet snow has an amazing ability to stick to very steep slopes & make unique wind wave & cornice features, which are tender. Southwest winds will prevail, with possible gusts to 105 mph during tomorrows daylight hours. Expect slabs to be a variety of firm & moist with water looking for the path of least resistance on the surface, we call these channels "Runnels". Loose wet indicators will be most readily apparent on all aspects & mostly lower elevations where rain dominated. Near & above freezing temperatures up to our remote weather stations at 9604' can tell you that the diurnal lock-up may not have happened, leaving the snowpack in perpetual motion. One of my favorite phenomenons is likely to be seen today the "Pushalanche". This is where the localized snow underfeet packs well enough to an old interface where it slides small & quite uniformily, collecting upon itself. Our winter recreation area has a dynamic weather system currently influencing rapid change of our snowpack. Surface loose wet instabilities, mid pack slabs & buried deeper weak layers are at a constant battle with environmental change. An additional accumulation of 4- 5' of new snow & a few inches of rain, will tip the balance & we will definately see avalanches of large size & destructive force. Sun & warmth have changed our powder to chowder. 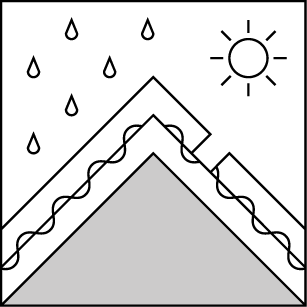 The addition of rain will make our situation more soupy & prone to avalanching. Two natural avalanches this week, in the Sonora Pass area, have shown us that the Deep slab instability is a reality for us. A +6' crown was observed on a convex rollover that encompassed a few of the avalanche problems, ultimately releasing on a weak layer from earlier in the season. Max. temperature in the last 24 hours: 40 deg. F.
A warm, moisture rich storm is upon us. Rain is likely to be seen throughout the day with a fluctuating freezing level above 8500' in some areas. Winds will be moderate to strong out of the SW & gusts could be seen over 100 mph tomorrow. Snotel sites are telling us we may have received 4-6" snow with 1.5- 2" of snow water equivalent. The snow will be saturated. Above & near freezing temperatures lastnight in the BWRA coupled with over 4' of snow expected will make our snowpack very sensitive to change & human travel on steep slopes. Temperatures: 39 to 45 deg. F. 31 to 36 deg. F. 33 to 39 deg. F.
Expected snowfall: 1 to 5 in. 7 to 15 in. 11 to 19 in. Weather: Cloudy with snow. Rain possible. Cloudy with snow. Cloudy with snow. Temperatures: 31 to 36 deg. F. 25 to 30 deg. F. 27 to 32 deg. F.
Expected snowfall: 1 to 5 in. 12 to 20 in. 19 to 27 in.